Gardens By The Bay in Singapore is Officially Opened ! On the Thursday of the 28th June 2012, this marks a special and memorable day in the history of Singapore. The Gardens By The Bay is officially opened by the Guest of Honour, Prime Minister Mr Lee Hsien Loong with over 700 guests inside the Flower Dome at the Gardens By The Bay. I was very honoured to be invited to the official opening and enjoyed the tour of the Cloud Forest that I wasn’t able to visit when I was visiting Gardens By The Bay earlier in the months before that for special preview and photography taking. From my short visiting experiences earlier, once in 2011 when the 20th World Orchid Conference was held in Singapore and the Gardens By The Bay was opened to the public for a sneak short preview, I was there too enjoying the special preview of Gardens By The Bay. I was amazed by the design, layout and different types of flora and fauna that will be located there especially the SuperTrees whom I was really looking forward to its opening. Closer to the official opening date of The Gardens By The Bay, I was invited for another sneak preview to photograph and share with my readers and followers the upcoming opening of the beautiful and magnificent Gardens, visiting the SuperTrees over two days in the early morning and evening. One of my photograph taken during our sneak preview was selected for Gardens By The Bay roving exhibition around Singapore at Far East Organization shopping malls. 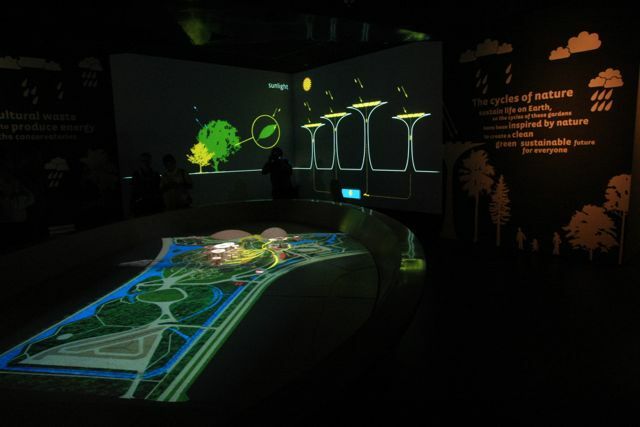 Currently, it is now on display at the Gardens By The Bay along with its official opening! Once again, I would like to say a Big Thank you to the organisations National Parks Singapore, Gardens By The Bay and Marina Bay Singapore for selecting my photograph! Along with the official opening of Gardens By The Bay to the public on the 29th June 2012, there are a series of events and activities, do check out the events listing page on their website for more details. 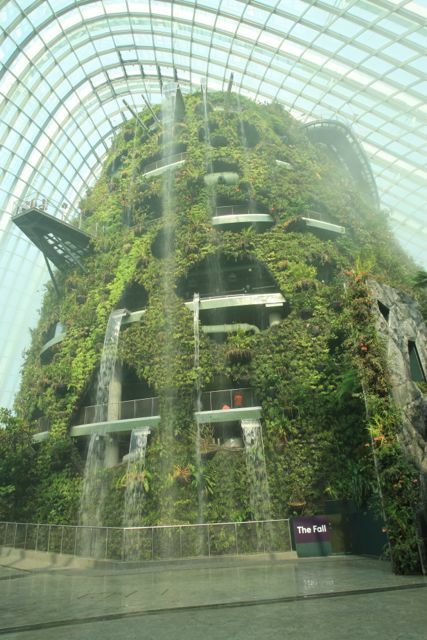 Inside the Cloud Forest Dome, there is a 35m tall mountain complete with the tallest indoor waterfall covered in beautiful lush green vegetation. My impression upon entering the Cloud Forest and looking high up at the mountain and waterfall is a WOW ! 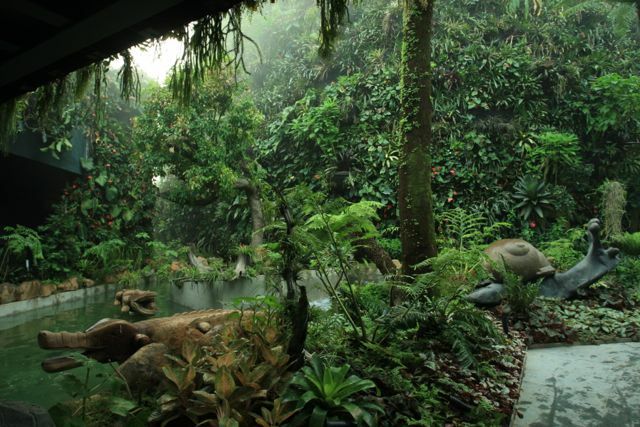 The Cloud Forest portrays plant life from about 2,000-metres above sea level at the top of the mountain to around 1,000-metres at the bottom of the ravine. Taking a lift up to the top and walking down towards the ravine, it was like my trekking adventure to Mount Kinabalu, the mist and coolness of the high altitude. Admission charges apply and the information can be found here on their website. The Flower Dome is a cool-dry conservatory that replicates cool-dry climate of Mediterranean regions like South Africa, California and parts of Spain and Italy. There is a great collection of plants from deserts all over the world, showcasing how these plants adapt around different environments. This is a place for everybody to slow down and relax, enjoy the cooling atmosphere, admire the beautiful flowers and smell the beautiful fragrance from the different flowers. Admission charges apply and the information can be found here on their website. The SuperTree Grove, 16 storeys in height, with 12 of the SuperTrees located at the SuperTree Grove, these SuperTrees give Gardens By The Bay an iconic tall landmark of tall and mature trees, complementing the high rise buildings of Marina Bay region. You can take a stroll up above the SuperTrees, 128m long walkway that connects the two 25-metre Supertrees at the Supertree Grove. The views along the walkway will give you a bird’s eye view of Gardens By The Bay and surrounding areas of Marina Barrage, Marina Bay and Central Business District. You will definitely love it up there and I will be returning soon to cover more of the SuperTree Grove! Admission charges apply and the information can be found here on their website. Do check out the photos collection here on the SuperTree Groves ! Let’s all welcome the opening of Gardens By The Bay !! You have to visit this beautiful place and check it out!! 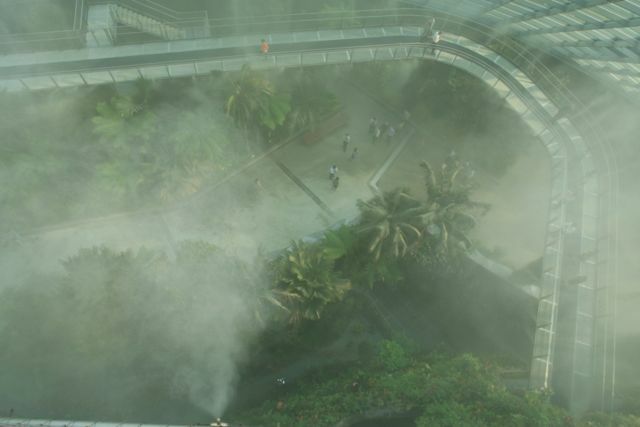 Here’s some photographs taken during the official opening of Gardens By The Bay on 29th June 2012 ! 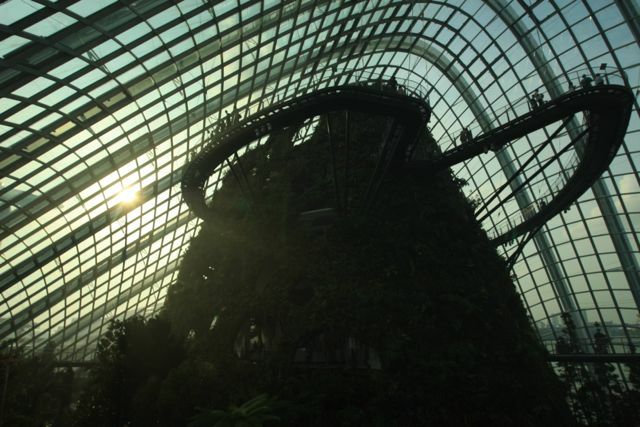 I have created a folder collection of Gardens By The Bay during my earlier adventures and future explorations here on Flickr !